If you are in search of high-end non-GMO CBD oil products, one name you probably have been hearing a lot lately is Diamond CBD. 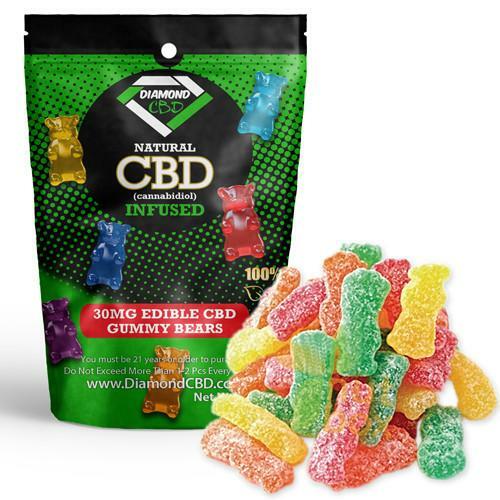 Diamond CBD manufactures a range of oils, vapes, gummies, honey sticks, dabs, creams, grinders and pet products to the highest premium standards. This is a company that we’ve been very excited to discover. We’ve been incredibly pleased with their vapor liquids, several of which we are going to talk about in-depth in this review. We don’t have as much experience with the rest of their product line (yet! ), but we have read great things in other reviews. But before getting in-depth into the product line, let’s talk a little bit more about what makes Diamond CBD a unique company. You are going to notice while you are shopping that Diamond CBD oil products are not exactly cheap. They are not the most expensive out there either, but you may wonder why you should not go with a less expensive brand. What are you paying extra for? The answer comes down to the manufacturing process which Diamond CBD uses to ensure that all of its products are of the highest quality. Diamond CBD grows its hemp in fertile soil in Scandinavia in ideal climate conditions. Only organic techniques are used. All Diamond CBD oil is derived from hemp which is 100% non-GMO. Only the highest quality plants are used—all are hand selected and carefully harvested and dried. The company conducts extensive testing to be certain that all hemp used is meeting the highest quality standards. A lot of other hemp oil companies rely on cheap extraction methods which may save money, but do so only by cutting corners. Such methods subject hemp to high heat or chemical solvents. Processes like those can burn away the compounds you want in your CBD oil while introducing impurities. Diamond CBD on the other hand uses a cutting edge technique called “supercritical CO2 extraction.” This process is gentle and preserves the healthy compounds in the oil while keeping it free of impurities. After batches are processed, the final products are lab-tested for purity. All Diamond CBD oil products contain exactly what they say they do on the label. One thing I want to draw attention to is the question of synthetics and THC. Diamond CBD oil products contain neither of these substances. I have seen a few people on Reddit claiming that they do, but I can find absolutely no evidence to substantiate that claim. Indeed, the Diamond CBD FAQ is quite clear on the matter. I suspect these posts were left by competitors. Another great thing about Diamond CBD is that they ship to all 50 states, and they ship abroad as well. While you do have to pay for international shipping, you do not need to pay anything for domestic shipping. If for whatever reason your product ends up damaged during shipping (rare, but never impossible), there are free returns within 15 days of purchase. Now that you know what makes Diamond CBD a standout company, let’s take a look at several of their most popular products. We were a little late to the game of edibles but to date we have tested 25+ products- most of which are gummies. To say that the Diamond CBD Honey products take edibles to a new level are a serious understatement. 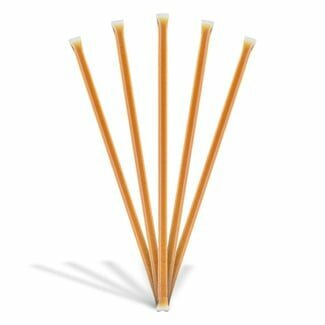 I am personally a huge fan of their CBD honey sticks and use them each morning in my Yerba Mate tea. We will have a full review up soon but in the meantime, we are happy to say that due to popular demand, you can now get these on a bulk discount up to 35% off retail prices. If you are looking for the easiest way to start with CBD, honey sticks are the answer. 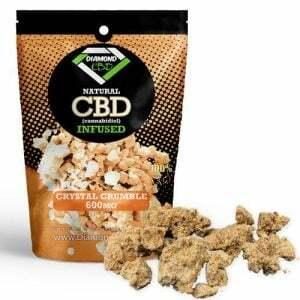 When it comes to CBD isolates on the market today, you are going to find few options which can compete with Diamond CBD’s Blue CBD Crystals Isolate. This is a premium vapor liquid which can also be used as oral drops. Available in a range of different flavors: Natural, acai berry, apple, banana, Belgian waffle, cantaloupe, cherry, cucumber mint, French vanilla, frosted donut, grape, peanut butter, pineapple, pomegranate, strawberry shortcake, toasted marshmallow, Swedish fish, watermelon, and more. Full ingredients list: industrial hemp cannabidiol, vegetable glycerine, propylene glycol. The flavor list above is far from extensive. I deliberately listed some of the more specific and unusual flavors so you would get a feel for just how much variety there is. No matter what you enjoy, you will doubtless find a whole bunch of different flavors you will want to try. 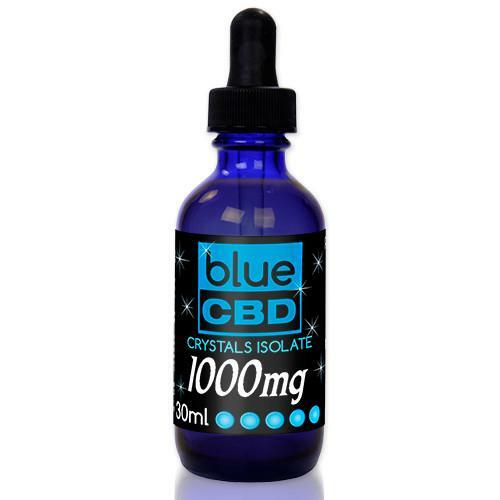 As with all of Diamond CBD’s products, the CBD oil extract included in Blue CBD Crystals Isolate is completely natural and organic. It has been tested at a concentration of 7x or higher (as compared with products from competitors), and is rated safe for topical use. This makes it a wonderfully versatile product, and possibly the best CBD vape oil product on the market right now. As a pure, high-quality vapor liquid, this is a powerful product which produces powerful (and fast) results. Several reviewers mentioned that it is particularly effective as an anxiety treatment. You can use this product for vaping, or you can take it orally or apply it topically. Note that one drawback of this product is the dropper, which was designed to be childproof. Unfortunately, it may feel like it is adult-proof as well, especially if you have arthritis. If you can look past this, though, you will find that this is amazing product which can produce incredible results. It is also worth pointing out that some people have no problem with the dropper at all—even among those who do have arthritis (for which this isolate is an effective treatment). You want a product which offers you great versatility. You want to be able to control your dosage with precision. You want a high-quality vapor liquid which isn’t loaded with additives and impurities—just wholesome CBD oil with all its beneficial compounds intact. You want your pick of flavors. 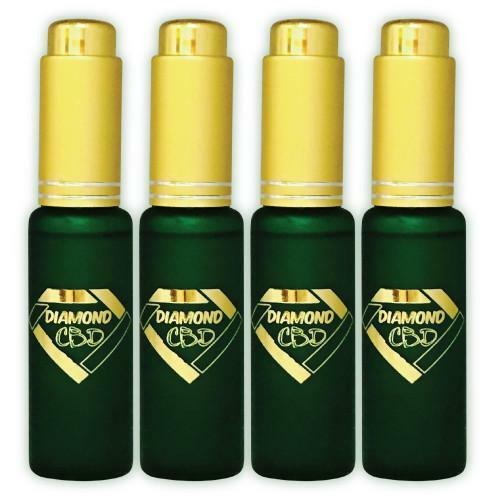 Another product which is well worth considering from Diamond CBD is Vape Additive. This is a less expensive option than the Blue CBD Crystals Isolate, and comes in a smaller amount. Vape Additive is what it sounds like: a vaping fluid which you can combine with other liquids you are using. It contains cannabidiol in combination with natural turpentoids, USP kosher glycol and USP kosher vegetable glycerine. It is among the company’s most popular products. This is an easy way to add a little extra CBD oil goodness to your vaping experience. Keep on vaping the products you already enjoy, but enhance them with the benefits of cannabidiol. Because you are combining this with other vape liquids, you are extending its use over time. This means that it is a cost-effective choice. More than one customer who has left reviews for this product has mentioned that it is the best CBD oil product they have ever tried. I cannot find much in the way of negatives to report, though one buyer did mention that in the past, this product used to have a stronger concentration. Then again, if you are not looking for a really high concentration, you might prefer this. Plus, that customer was still entirely happy with Diamond CBD Vape Additive. You already have vape liquids you enjoy, but you just want to augment their effectiveness so you can relax more and enjoy the health benefits of CBD oil. You are looking for a product which is cost-effective, highly rated, and popular among loyal Diamond CBD oil customers. 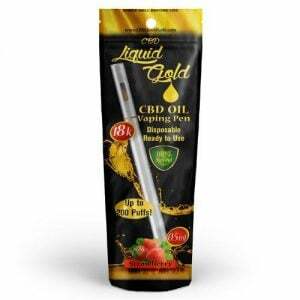 This is another vapor liquid from Diamond CBD which we can highly recommend. As with Blue CBD Crystals Isolate, Diamond CBD Ultra Natural Flavor can be used as oral drops as well. In terms of cost, it is roughly equivalent. Like Blue CBD Crystals Isolate, this product has been tested at a 7x higher concentration than competing products. You can use this product as oral drops or vapor liquid. It is also rated as safe for topical application. This may be a better option than the Blue CBD Crystals Isolate if you want to spend less money on your first purchase. As to drawbacks, one buyer did mention in a review that it takes some time for the effects to kick in, though we didn’t notice this when we tested it. Like Diamond CBD’s other vapor liquids, it produced fast relaxation. While it is not our #1 CBD Oil (CBD Pure) it is certainly high quality and works well. You are interested in the Blue CBD Crystals Isolate but are not yet ready to make the commitment to buy a more expensive product (though remember—the value is equivalent since you are getting a smaller amount with this one). You are looking for a product that is versatile and which you can use as needed. This is a range of candies (mostly CBD gummies) which are infused with CBD. These treats are highly rated, both for their delicious flavors and for their soothing effects. Note however that they do contain some artificial flavors and colors as well as corn syrup and sugar. Diamond CBD Double Shot. This is a portable product in a little package which you can pour into your mouth for 350 mg of CBD (very convenient for work and travel). Jungle Juice. This is like a drinkable version of the shot. Each one is 2 ounces (60 ml). Just chill, shake and drink whenever you want 4-6 hours of relaxation. What is nice about these drinks is that you can buy them as singles or in bulk, and you can get them in a variety of flavors. While they are sweetened, they are not overly sugary, and taste quite good. Many of Diamond CBD’s products are variations on a theme—the reason being that you can interchangeably use them for vaping or oral dosing. This flexibility is a big part of the appeal. Of course, you should read the instructions carefully for any product you are thinking of using. 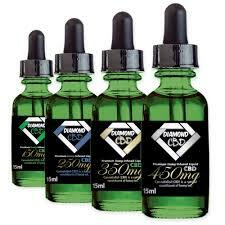 Diamond CBD sells CBD oils in a wide variety of flavors and amounts. You can purchase as little as 25 mg for $19.99, or as much as 550 mg for $89.99. As with the Blue CBD Crystals Isolate which we talked about earlier, you can choose from flavors like mint, watermelon, cotton candy, natural flavor, raspberry and more. Want to enhance your recipes with the power of CBD oil? Then Diamond CBD’s crystal dabs are for you. The dabs are the isolate powder of CBD, available in amounts ranging from 250 mg to 1,000 mg. As these powders are 99% concentrated, you only need a dab to enhance any food or beverage. 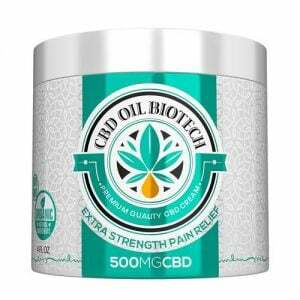 If you are looking for a product which is ideal for topical application to treat localized pain, check out Diamond CBD’s selection of ointments and creams. 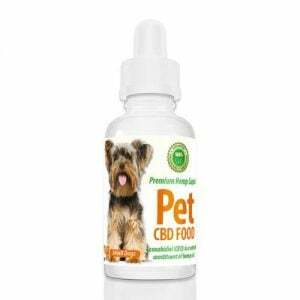 You can purchase anywhere from 250 mg to 1,000 mg.
Pets deserve the health benefits of CBD oil too! Diamond CBD carries a line of pet foods for small, medium and large dogs as well as cats. The company manufactures its pet supplements in liquid form so that you can simply add a few drops to your pet’s food or water each day. This is much easier and more convenient than trying to get your pet to swallow capsules. 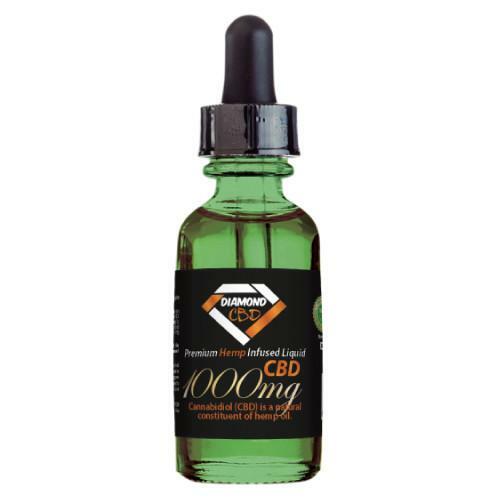 As you can see, Diamond CBD really is your one-stop shop for all of your CBD supplement needs. Now that you are familiar with some of the brand’s top products as well as the broader catalogue, let’s quickly go over the pros and cons. Ready to purchase Diamond CBD? Scroll to the bottom to find out where you can pick up these premium CBD oil vapor liquids, treats, dabs, and more! Diamond CBD uses only organic, non-GMO hemp for all of its products, and follows strict quality control protocols every step of the way from growing through harvesting and manufacturing all the way through to completion. This ensures that you are getting only the healthiest, most effective CBD oil extracts. Kosher-friendly CBD oil products are available from Diamond CBD. Not every company offers this. The supercritical CO2 extraction process used by the company means that you are getting all of the healthy compounds in CBD oil. Nothing is burned away, and no solvents ever adulterate your CBD oil. The result is as pure as it is powerful. There is a huge product range here with literally everything you could possibly need for yourself, your family, and your pets. If you don’t know where to begin, start with any of the top three products we recommended: Vape Additive, Blue CBD Crystals Isolate, or Diamond CBD Ultra Natural Flavor. But be sure to try out some of the other vapes and oils, the gummies, and the creams—all of them can contribute to your health, lifting your mood and alleviating pain throughout the day. There is no shortage of flavors to try for vapes! There is something for everyone here. Diamond CBD’s products are an investment and no mistake—though we have seen pricier products on the market. Plus, you get what you pay for with CBD oil. Cheap products are made out of cheap hemp which is manufactured into CBD oil through cheap means—and what you get are cheap results. Diamond CBD hemp is high quality, and the extraction processes used are as advanced as you are going to find, so the results you get are more than worth paying a little extra. We understand this may not be entry level pricing for most consumers. With that said, we still think that the production quality is worth the extra cost. Aside from some finicky droppers, it is hard to think of too many other drawbacks with Diamond CBD! We are blown away by this company’s attention to detail and commitment to quality, every step of the way. Where Can You Buy Diamond CBD? If you are ready to experience fast-acting powerful relief for a range of health issues, then it is time to stop messing around with inferior, impure CBD oil products and switch to high-quality premium CBD oil vapes from Diamond CBD. 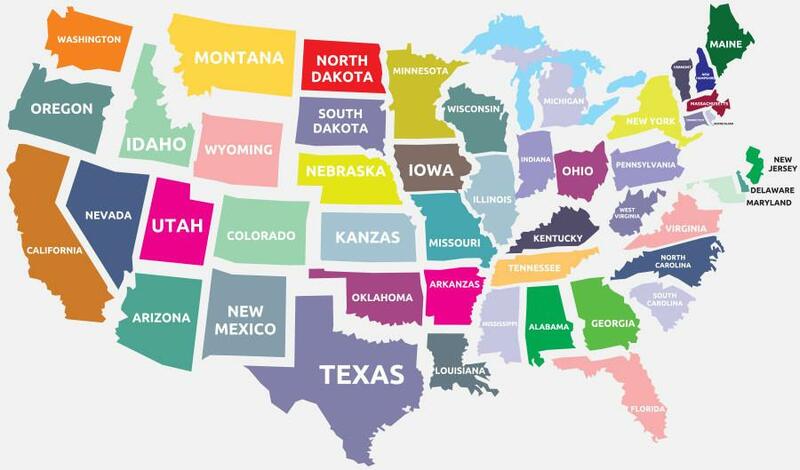 Diamond CBD ships to all 50 states. 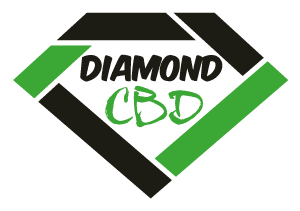 Click the link below to visit Diamond CBD’s website where you can shop for the ultimate in CBD-based relief!